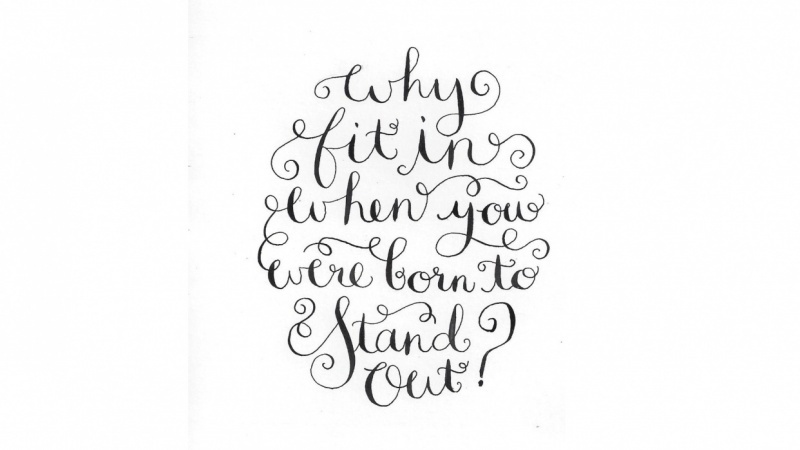 Curious about calligraphy? 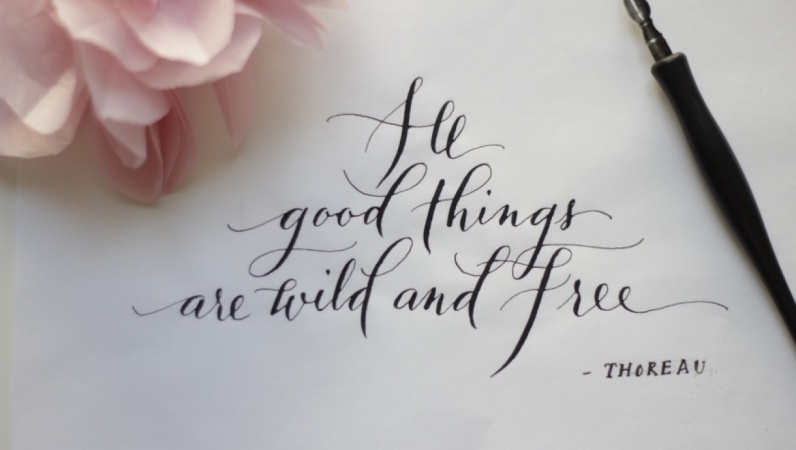 Join Paperfinger founder Bryn Chernoff for a warm and inviting introductory class on the tools, techniques, and best practices to transform your handwriting into beautiful calligraphy script! Always welcoming and encouraging, Bryn covers all the details aspiring calligraphers need to get started. From materials and setting up a workspace to basic shapes, line widths, movement, and connecting individual letters, this class is a comprehensive and thoroughly enjoyable guide. Plus, with 7 Skillshare-exclusive practice pages, a guide for straight lines, and countless inspiration photos, there’s no clearer introduction to the world of nibs, ink, and beautiful writing. By the end, you'll write a meaningful name, quotation, or passage in a simple calligraphy script. 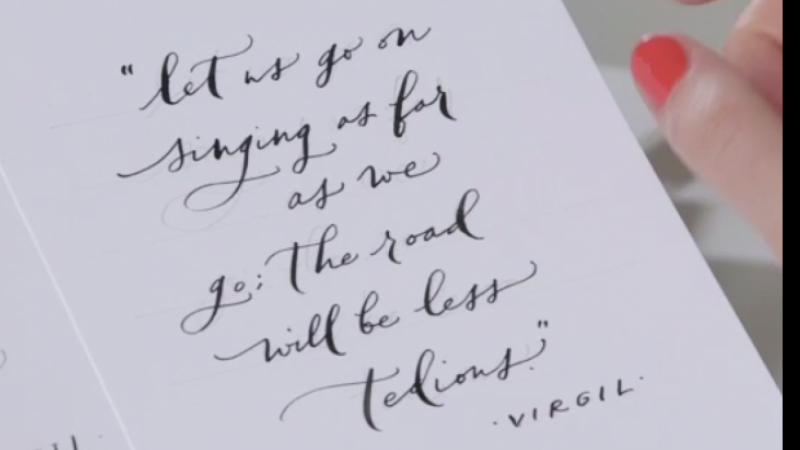 This enjoyable project is a perfect way to spend time with words you love, grow your calligraphy skills, and practice making artistic decisions in pursuit of beautiful handwriting. Introduction. Writing in calligraphy script is a timeless art that imbues even the simplest writing with an air of sophistication. 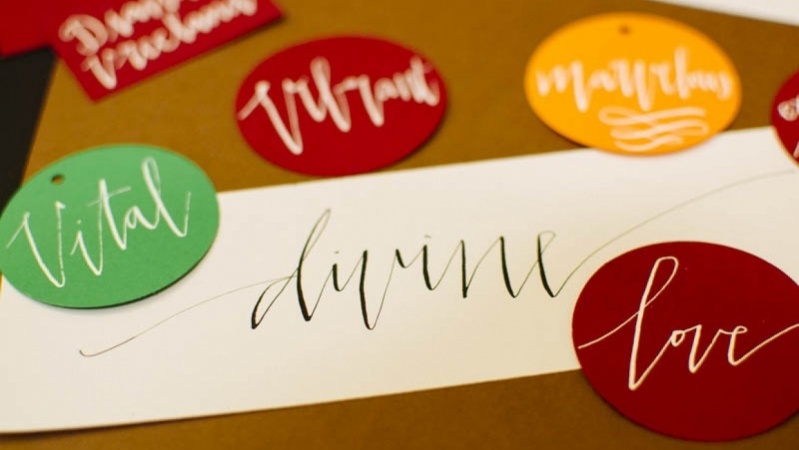 This course by celebrated calligrapher Bryn Chernoff can help you learn calligraphy at your own pace and create beautiful works of typographic art with little more than ink and paper. She will also provide you with links to download handy worksheets that can help you develop your style and technique. Warm Up. Dive right in on scraps of paper with a few exercises designed to help you relax, as well as teach you about how to approach lettering art. You’ll learn how to express emotions, not just through the words themselves, but also through the shape those words take. 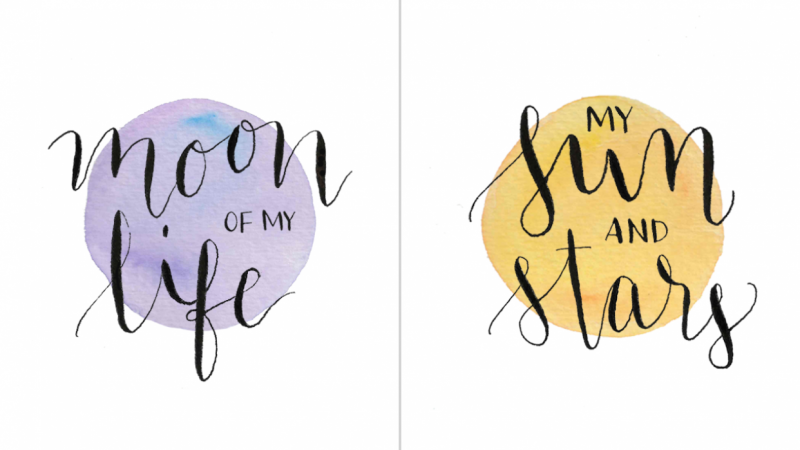 Different lettering styles can evoke different reactions in the reader, such as “whimsical,” “rustic,” or “shy,” and Bryn demonstrates her own techniques for finding the right form for your project. Welcome! Bryn talks a little bit about her background, her love of calligraphy, and why she chose to pursue this career after studying computer science. Goals and Methods. The world of typography is as varied as the printed word itself, but in calligraphic terms, there are two main approaches: modern and traditional. Bryn gives a brief history of both and their differences so that you can decide on which style suits you best. Calligraphy Tools. In her “essentials kit,” Bryn demonstrates and describes the basic tools and equipment that you need to get started. Here she shows you the two main nib types as well as how to use them to create different strokes. She also covers ink and paper types as well as a few tips on how to use these tools. Workspace. A clean, uncluttered workspace is essential, but there are other aspects to consider, as well. Bryn goes over the need for “vertical space” at your desk and demonstrates how angling your body can affect your calligraphy. Using a Nib. Before you begin, you will need to know how to properly load your nib with ink while avoiding messes. After a few tips, Bryn demonstrates how to make straight lines so you can see how the nib reacts to changes in pressure and direction. Using a Nib (Part 2). Now you will begin practicing loops, which require skill and a delicate touch to execute properly. Troubleshooting. If you’re having problems, Bryn demonstrates a few techniques for common issues suffered by many beginning calligraphy students. She’ll show you how to avoid scraping or tearing the paper, how to address the ink not flowing, and how to achieve proper line thickness. Such frustrations are quite easy to fix once you know how. Shapes. Calligraphic letters are constructed of shapes, and with a new worksheet, you will begin working towards a consistent letter form to keep your typographic art clean and beautiful. Chiseled Nib. Switching from the pointed nib to a chiseled nib requires a few adjustments, but the resulting letters have a more structured feel. Bryn demonstrates how to create the “two stroke” O letter, as well as some other considerations to keep in mind when using the chiseled nib. How to Clean a Nib. Even if you only pause for a few minutes, keeping your nib in working order requires just a bit of care. Bryn demonstrates how to clean and dry your nib so that it maintains consistency as you practice. Constructing Letterforms. On another worksheet, you will practice the most useful shapes that apply to most letterforms. This will help your calligraphy look and flow better, no matter what words or letters are used. How to Write Script. 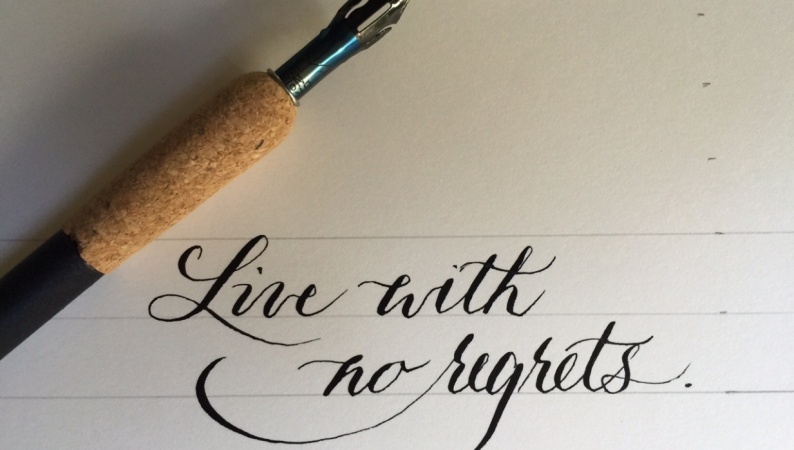 Bryn gives some insight on developing your own distinct style of calligraphy. She also demonstrates her own classic script to help get you started. Practicing Script. Writing a pangram (a sentence in which every letter of the alphabet is used) is one of the best ways to practice writing in script, and Bryn gives prompts so that you can dive into your own practicing. Class Project. Putting all of the preceding lessons into practice, you will create a lovely keepsake to frame or give to friends. Choose whether you want to write a quote or song lyric and Bryn’s teaching will help your project come out beautifully. The Finished Piece. Calligraphy art is treasured for its personal, handmade touch. Bryn shows you her final project and goes over a few stylistic differences she made while creating the same piece that give them each a unique finish.